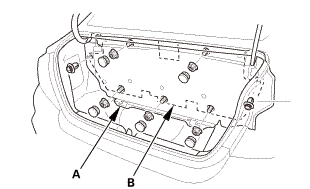 Remove the trunk front trim panel (A) and the trunk partition (B) as an assembly. Remove the trunk front trim panel (A) from the trunk partition (B). 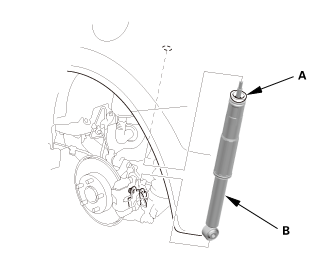 Remove the self-locking nut (A) while holding the damper shaft (B) with a hex wrench (C). 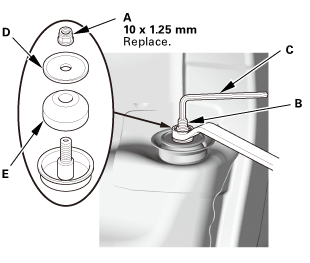 Remove the damper mounting washer (D). 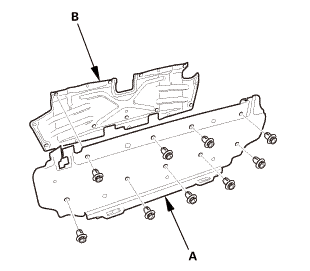 Remove the damper mounting bushing (E). 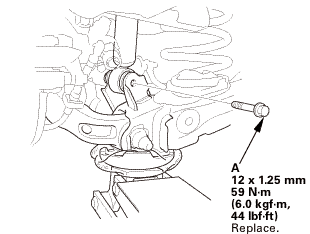 Remove the damper assembly (A). 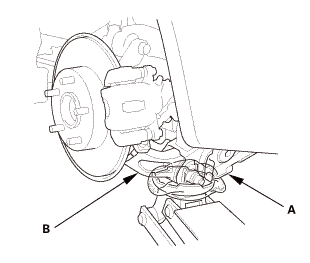 Remove the damper mounting bushing (B). Push on the damper as shown. 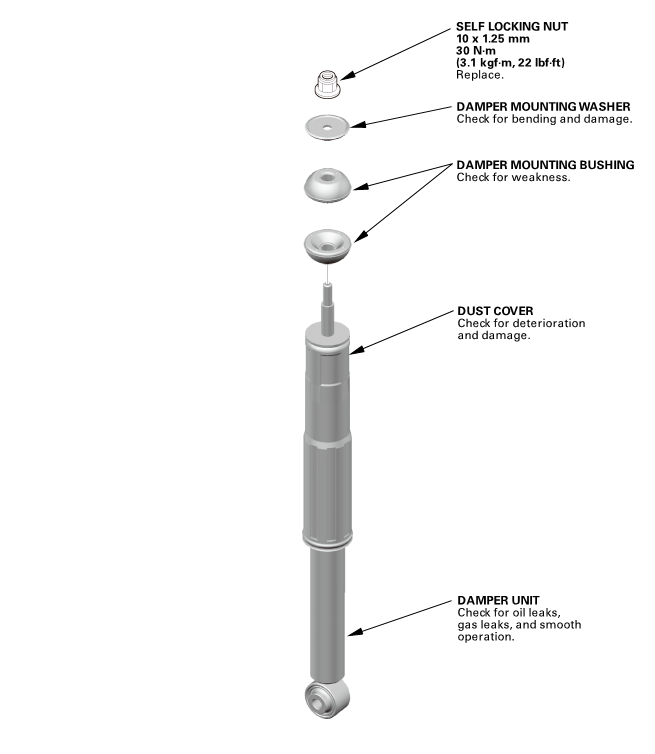 Install the damper assembly (B). 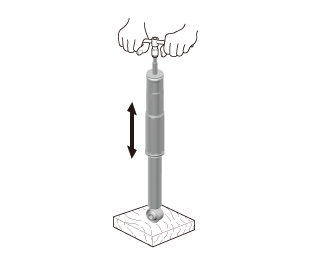 Raise the rear suspension with the jack until the vehicle just lifts off of the safety stands, then tighten the damper mounting bolt to the specified torque. 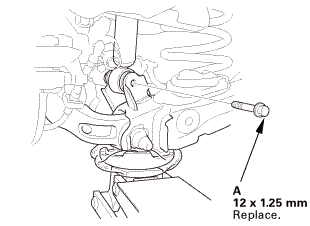 Install the damper mounting bushing (A). 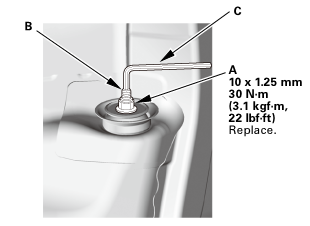 Install the damper mounting washer (B). 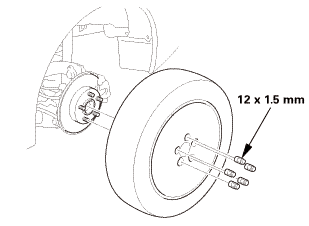 Loosely install the new self-locking nut (C). 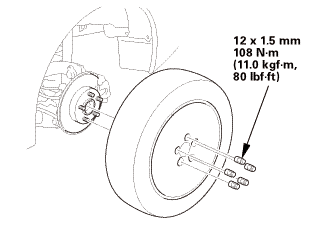 Tighten the self-locking nut (A) to the specified torque while holding the damper shaft (B) with a hex wrench (C). 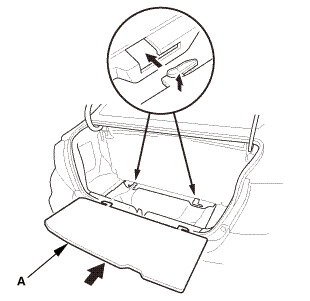 Install the trunk front trim panel (A) to the trunk partition (B). 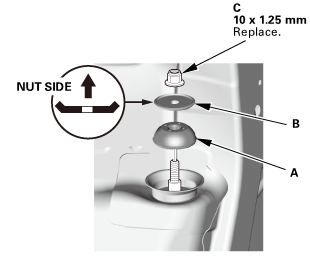 Install the trunk front trim panel (A) and the trunk partition (B) as an assembly.